The Lizzie Home is a Greek Revival House which has been a city landmark since the infamous ax murders of Andrew and his second wife Abby Borden on August 4, 1892. Erected in 1845 the home was originally a two family and was later made into a single family by Andrew J. Borden. Andrew J. Borden bought the house at 92 Second Street to be close to his bank and various downtown businesses. 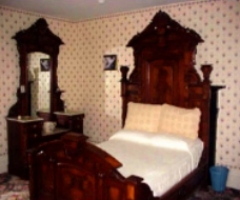 The Bed & Breakfast is named after Andrew J. Borden�s youngest daughter, Lizzie. 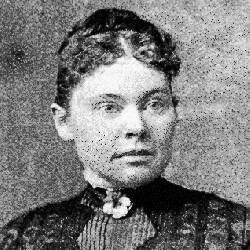 Although she was tried and acquitted of the crimes she was ostracized by the community of Fall River. Since the murders on August 4, 1892 the house has been a private residence. Now for the first time the public is allowed not only to view the murder scene, but is given an opportunity to spend a night (if you dare) in the actual house where the murders took place. 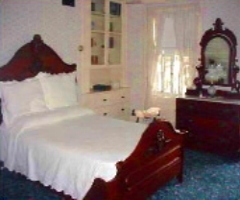 The owners offer two two bedroom suites, Lizzie & Emma�s Bedrooms, and Abby & Andrew�s Bedrooms (this suite has a private bath); the John Morse Guest Room, Bridget�s Attic Room and two additional spacious attic bedrooms (the Jennings & Knowlton Rooms), each of which offer a double bed in a room with Victorian appointments. Guests are treated to a breakfast similar to the one the Bordens ate on the morning of the murders, which includes bananas, jonny-cakes, sugar cookies and coffee in the addition to a delicious meal of breakfast staples. The interior and exterior of the home has been restored to its original Victorian splendor, with careful attention to making it as close to the Borden home of August, 1892 as is possible. The owners of the home invite all to view their collection of both Fall River and Borden memorabilia at 92(230 GPS) Second Street. Located just fifty miles south of Boston, minutes from Providence or Newport, R.I. and the gateway to Cape Cod, this landmark home is accessible from all major highways.